peeta mellark(:. . HD Wallpaper and background images in the The Hunger Games club tagged: peeta. This The Hunger Games photo might contain pak. ugh i wish he would stop slicking his hair back. it does nothing for him. is this real or edited? This is the person that will be playing Peeta :( I've seen him in alot of films and yes he's a good actor but they need someone that is better looking, with real blond hair - not dyed as the guy in the photos is and with blue eyes, not grey or brown or green they have to be BLUE! KATNISS DESERVES BETTER! And this is real not edited. I like his films but he doesn't have the right looks. i am in looooooove with josh!!! hes so cutteeee!! I can't wait for the movie !!!!!! Josh is SOOOOO HOT !!!!!!!! He is HOT. I LOOOOOOVE PEEEETA! I think he looks better with his blond hair in the movie. Sexay!!!!!!!!!!! I LOVE JOSH HUNTCHERSON!!!!! 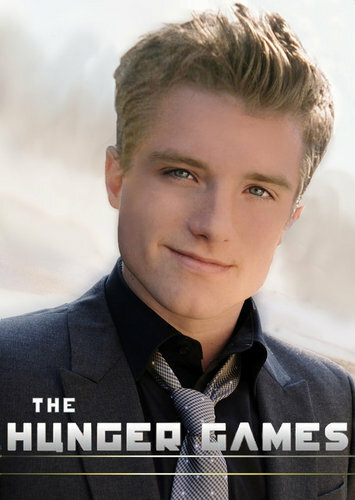 I LOVE HIM AS PEETA TOO!!!! Just how I pictured him! I LUV Josh! He is hot! i luv josh soo much. he is amazing. ur insane if u dont like him. JK JK. He is HOT!! but i hate katniss they should have taken someone else!! Is that him? I mean 4 real?!?! But he is hot!! !